Every day this month we’ll be showcasing one of the artists and authors in the new ‘Art of Sherlock Holmes’ project – today it’s artist Lupe Lawrence. Lupe Lawrence is a self-taught fine arts painter who is best known for her landscape and cityscapes paintings. Born in Havana, Cuba, she migrated to United States at the age of five and lives in South Florida. Lupe loves to travel and takes inspiration from the cities that she visits. Lupe is a member of Artist Showcase of Palm Beach County, No More Starving Artist, Creative Center of Education, and the Norton Museum. Her artwork has been exhibited in numerous shows throughout Florida and South Carolina. 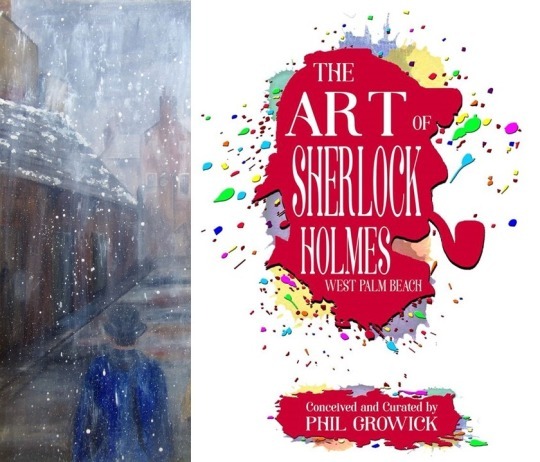 Lupe is one of fifteen artists who have created new pieces for The Art of Sherlock Holmes West Palm Beach Edition which is published in May and available now on Kickstarter – The Art of Sherlock Holmes.